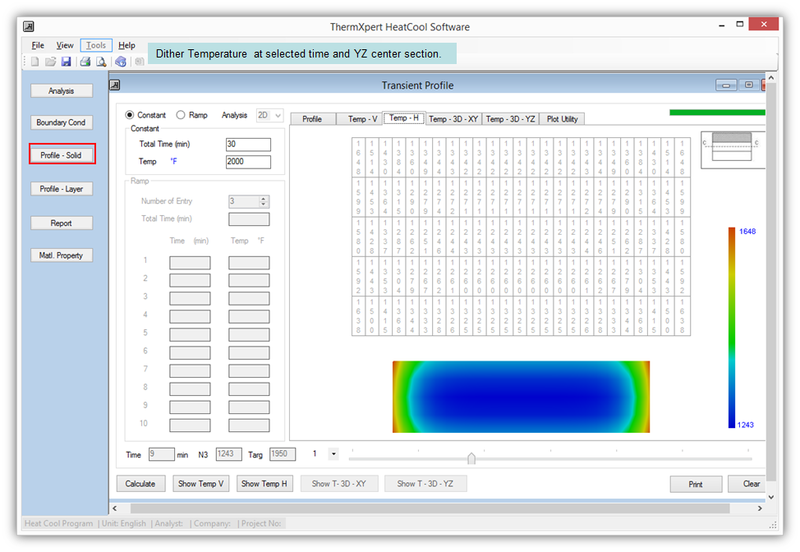 TherXpert Heat Cool Software (THCS) has been developed to track the temperature of parts or products during the entire heating and/or cooling cycle. 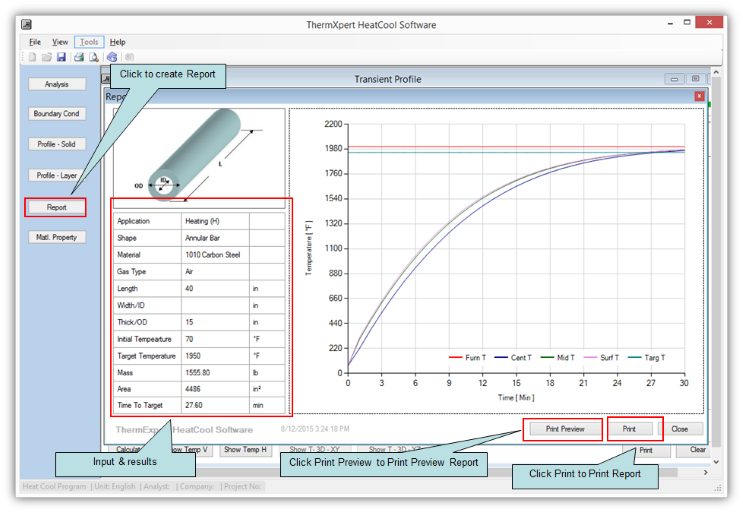 This could be a handy tool to determine how long to heat or cool parts inside a furnace or what should be the furnace profile to attain the desired final temperature. Additionally it could be used as a virtual thermocouple to track the temperature of a body during heating and cooling cycle. 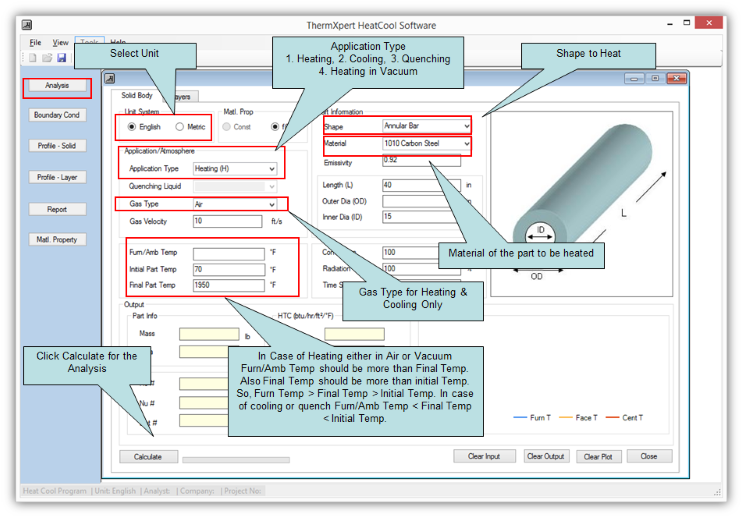 Part Configuration: User provides the shape, material and dimensions of the parts to be heated. Placement Configuration: User provides the placement and orientation of the part inside the furnace. For example, you have to tell if the part is heated from all sides or if it is placed on the hearth. In addition, you have to tell if the part is vertically or horizontally placed on the floor. User provides air/gas (atmosphere) velocity inside the furnace at each surface of the part. 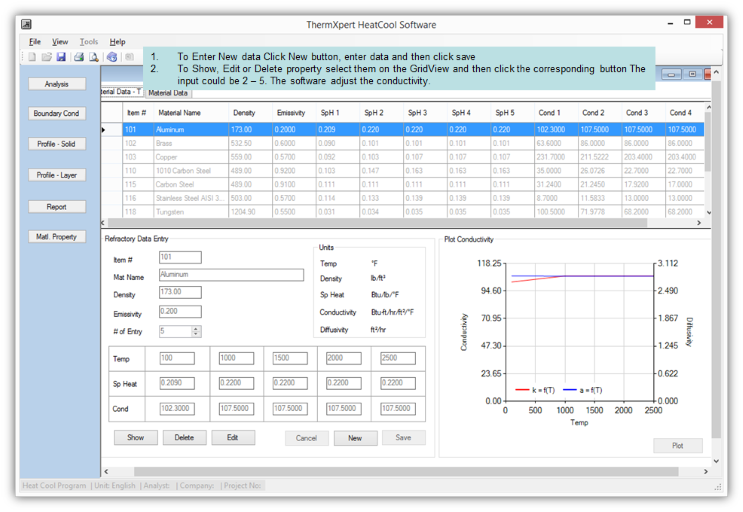 The software has the capability to estimate these values if the user does not have them handy. 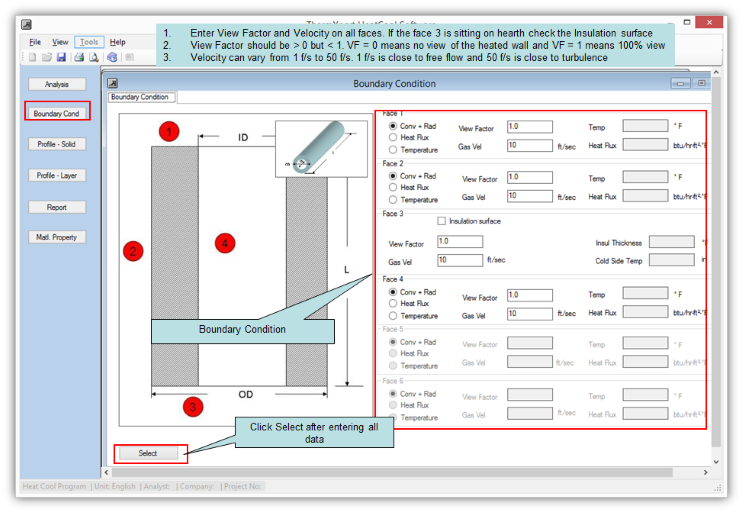 For Radiation Boundary Condition the user provides the view factor. 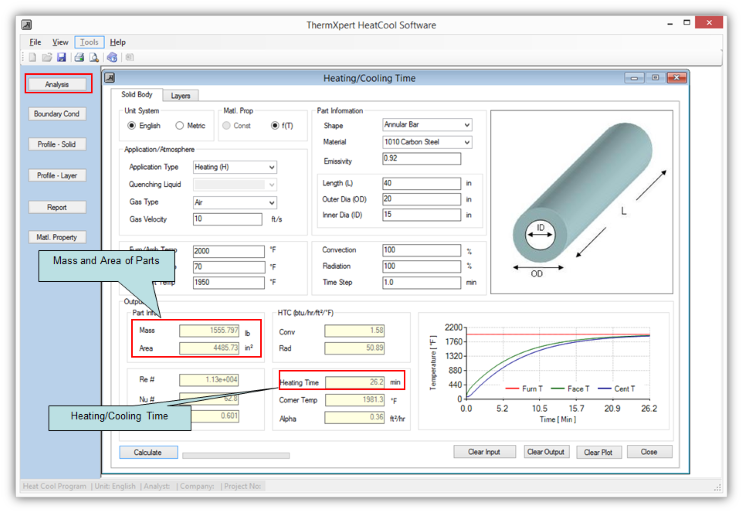 For Heat Flux Boundary Condition the user provides Heat Flux value for the surface exposed to Heat Flux. 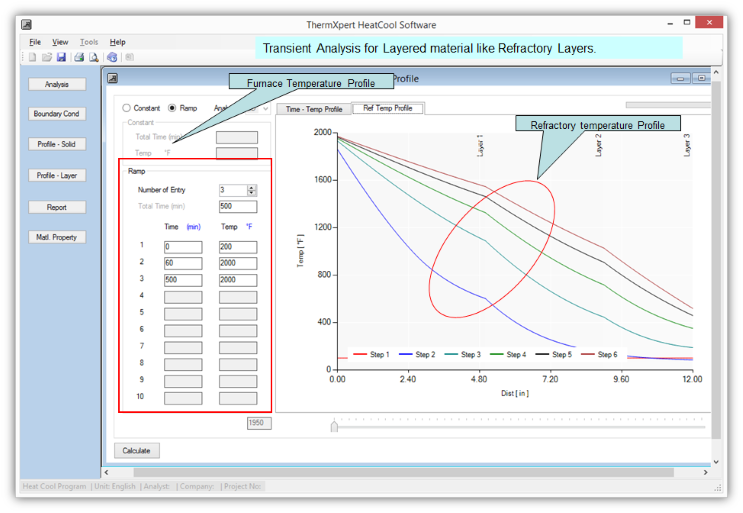 For Temperature Boundary Condition the user provides the Temperature of the surface the side is exposed to. 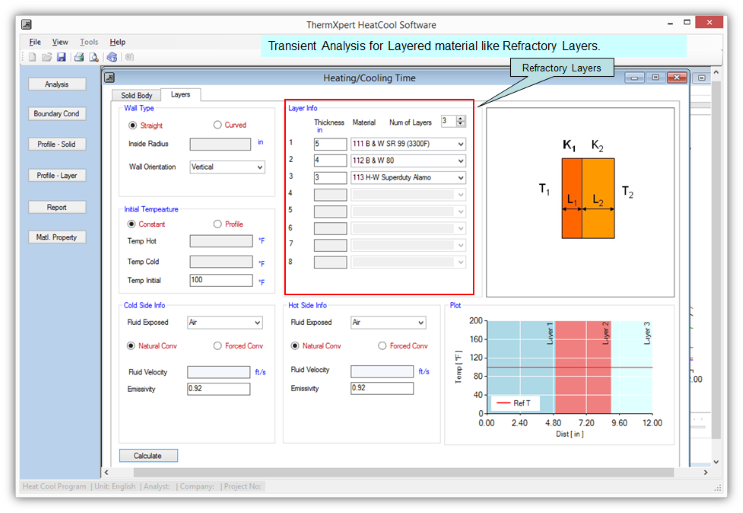 With the above information the software calculates temperatures at all internal points of the part during the entire heating/cooling cycle. 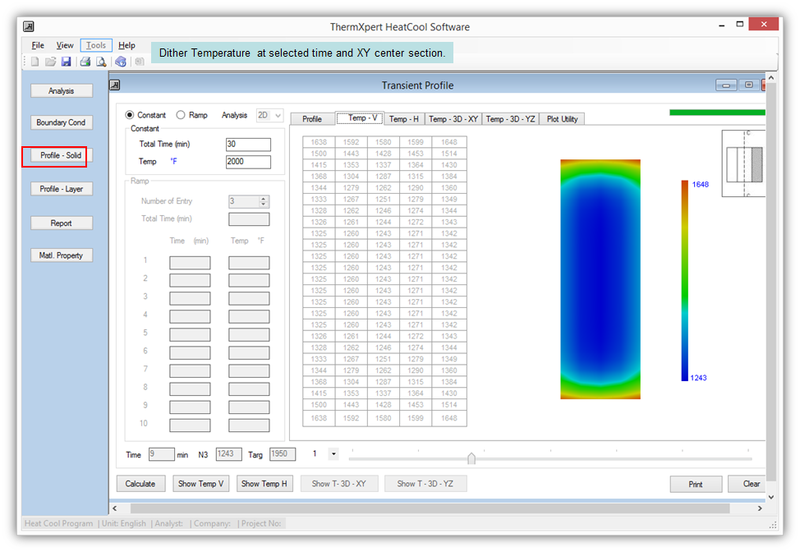 It will give you results as time-temperature plots at selected points inside the parts and also show overall temperature distribution at various cycle time. This is almost like having a virtual thermocouple inside your part to simulate the heating. 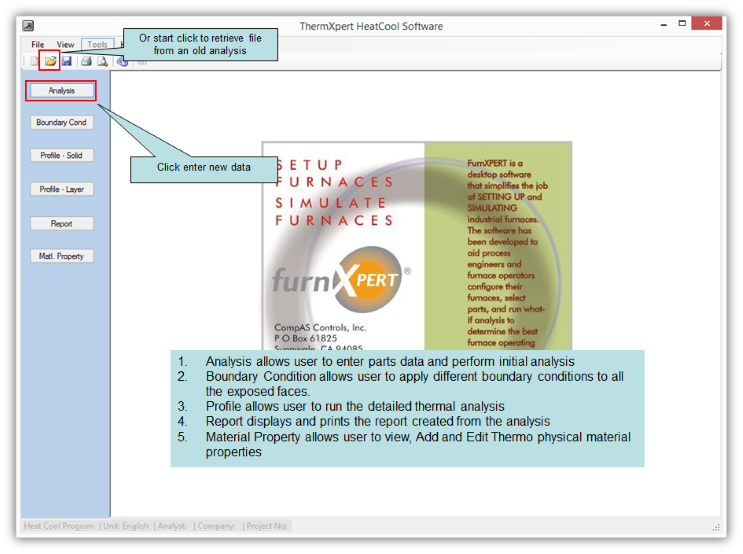 We have also kept provision to input actual furnace temperature from CSV files or could be connected to your SCADA system. The software does 3D simulation to make the prediction as close to the real world.